You are not left alone with your problems! Our Mission is to Support You! Achieve Your Communication Goals in Estonia! 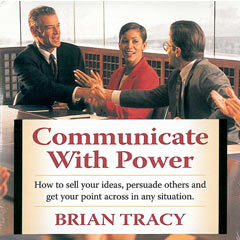 We all know that our success in life depends in a great deal on how good communicators we are. It's a fact that 85% of your success in all areas of your life will be determined by your ability to communicate effectively with others. People that get what they want are the ones that communicate effectively. How well you communicate will ultimately determine the quality of your life. People often believe that just learning vocabulary and grammar makes them effective communicators in Estonia and solves all the problems. However, in the long run they notice that in spite of learning Estonian they are still far from the standard of a successful communicator, to the contrary, they wrestle with misunderstandings and conflicts everywhere. Edward Hall (1979) says that culture designates what we pay attention to and what we ignore. Culture is like wearing sunglasses which differ in color. We never take them off. It shapes how we see the world. And it shapes our communication. Communication is always dependent on our cultural expectations, it designates what we pay attention to and what we ignore. We have acquired this throughout our childhood according to our cultural context and we use this subconsciously and automatically without paying attention to it. However, learned cultural behavior which is polite and acceptable in our home society may be misunderstood or even totally inappropriate in Estonia (such as kissing when greeting each other, for example). By observing cultural differences in communication styles and practices of new immigrants in Estonia and other European countries, I have recorded several acculturation problems and cultural differences that lead to conflicts and misunderstandings instead of success. When people take part in conversations they assume that they follow the same rules. However, these rules vary according to the culture. Different cultures have different ideas about what is relevant or informative. What is called ambiguity in Western cultures may bee seen as relevant information in the Middle East or in Latin America. In addition, we should bare in mind that only 7 % of our communication comprises verbal communication and the 93% of it is nonverbal. This covers paralanguage (voice, intonation, emotions) and our body language (gestures, facial expressions, personal space, contact). In some cultures it is much more important how something is said than what is said. Some cultures are more familiar than others, some say directly what they mean without considering other peoples’ feelings, some cultures are more sensitive concerning their personal space than others. The Main Dimensions of Cultural Differences which affect our communication are our body language, individual space, emotional expressiveness, speaking and listening habits (direct vs indirect communication style), values (individualistic vs collectivistic, preserving harmony, relations vs achievements), and time orientation (e.g. taking turns vs all voices together). Thus, there are several cultural differences which may cause communication problems. When communicating in a different culture, we step out of our comfort zone and seek to reduce uncertainty. Communication with strangers involves relatively greater degrees of uncertainty, due to the difficulty in predicting a stranger's cultural behavior. We are uncertain of how to interpret this behavior. A better understanding of other cultures yields better predictions. When communicating with Estonians you should bear in mind that Estonians are individualistic and achievement oriented, they value their time and space and it is reflected in their non-verbal as well as verbal communication style. In following course we are going to observe Estonians’ cultural behavior in cross-cultural perspective which helps us to avoid conflicts and achieve our communication goals more smoothly and effectively. Living in a different culture is not always easy. New immigrants go through many phases of adaptation from which the most difficult is culture shock. At first, the newness is exciting. Perhaps it is the first time when you can feel snow. You feel eager to immerse yourself in the new culture and are intrigued by the differences you encounter. This is referred to as the honeymoon or euphoria phase. However, after a couple of weeks when the newness has worn off you feel bored, frustrated, isolated and depressed. You might get tired of having to struggle to make yourself understood, and the smallest of obstacles might take on epic proportions. Perhaps you feel uncomfortable looking “foreign” and local people seem to be unfriendly or even hostile. You find yourself feeling lonely and homesick. This means that you are experiencing culture shock, which can range from mild frustration to depression. Culture shock is a typical reaction to difference. The common effects of Culture Shock are a sense of uprootedness; feeling of disorientation; not knowing what is going on; behaviors and attitudes which were necessary for obtaining goals in the culture we learned are no longer useful. There are so many adjustments to be made that one becomes overwhelmed, frustrated, and angry. For example, all officials seem suddenly impolite and hostile. You may feel conflicts rising everywhere. There are so many adjustments to be made that one becomes overwhelmed, frustrated, and angry. This is defined by Lysgaard (1955) as the bottom of the U-curve. To get beyond the reactions of culture shock requires a self-conscious effort to understand the differences and norms of the new culture. Little by little, you learn how to negotiate daily life in your new setting, and feel more confident. Rather than feeling frustration, you try to understand cultural differences, and might even begin to re-evaluate your own beliefs. It means that you have entered the adjustment and acceptance phase. You might still have some low points, but you have an established daily routine and can use your sense of humor when confronted with difficulties. This is the phase when the most profound learning takes place. In past 15 years I have taught several cross-cultual communication courses at Tallinn University, Estonian Institute of Economics at TTU, and designed cross-cultural communication curriculum for client servants, labour market consultatnts and officials in several international projects, e.g. 2010. IOM (International Organization for Migration, Tallinn, Estonia), participating as lecturer on the Cross-Cultural Communication Training Course for Citizenship and Migration Department and Border Guard Department officials. IOM Tallinn Office, Voluntary Assisted Return and Reintegration Programme from Estonia (VARRE). 2006, Nov-Dec. IOM project module "Minimal requirements for receiving, protecting and qualification of asylum seekers in Estonia" (MINAS) curriculum and teaching materials development and in-service training for labour market consultants and officials on the topic "Multicultural customer service"). In this course our aim is to look at the Estonians’ cultural behavior from the cross-cultual perspective and teach you how to reach your communication goals more effectively in Estonia. You can Subscribe to our Cross-Cultural Communication E-Course for a small monthly Fee 10.- EUR (the cost of the whole e-course is 30.- EUR, regular orice is 60.- EUR) and improve your communication skills by receiving once a week a new topic from our E-Course "How To Communicate More Effectively in Estonia: Estonians in Cross-Cultural Perspective! The e-course includes 12 topics. The length of the course is 3 month, you'll receive once a week access to the new topic with articles (chapters of the e-book), videos, slides, tasks and links to the additional resouces. In addition you have the opportunity to share you experience in Estonia and ask for an unlimited number of private consultation in different matters during the course for free. You can visit each topic as many times as you need. Your subscription will automatically end after three month (12 topics), you can unsubscribe at any time if you find that you don't need this course any more. Learn How to Communicate More Effectively in Estonia! Find Useful Information about Estonian Holidays, Customs and Traditions! Join the Adaptation Course, raise your cultural awareness and improve your communication skills in Estonia! 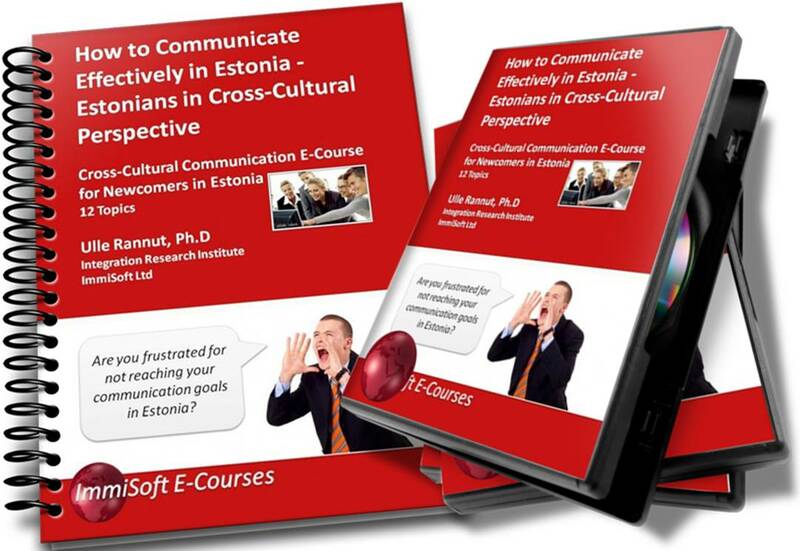 Cross-Cultural Communication E-Course for Newcomers in Estonia "How to Communicate mor Effectively in Estonia: Estonians in Cross-Cultural Perspective"
1. Greetings and Introducing Yourself in Estonia. Introduction to Estonians' Cultural Behavior. 2. Personal Space and Privacy. How our culture affects our communication style.The historical background and characteristics of cultural behaviour of Estonians (culture of time, space and communication). 3. Estonians' Body Language and how they perceive other cultures' non-verbal behavior. 4.Estonians' listening and speaking habits. Direct vs. Indirect Communication Style. 5. Estonians' Perception of Time and How It Is Reflected in their Communication Style. 6. Individualistic features in family, education and society. Confrontation vs harmony. Estonians are achievement oriented. Main pronciples of successful job interview in Estonia. 7. Uncertainty avoidance in Estonian culture. How Estonians Perceive cultural differences.Tolerance. Risk. 8. Feminine and masculine features of Estonian culture. 9. Cultural differences in power distance and how it affects our everyday life. Familiarity and social distance. 10. Different Phases of culture shock and adaptation. How culture shock and leaving our comfort zone affect our perception of other cultures and our attitudes and behavior in a new cultural environment. How we can help ourselves to cope better in a new cultural environment. Cultural awareness. 11. The influence and contribution of other cultures in the formation of Estonian culture and lifestyle. Religions in Estonia. Estonian Customs and Traditions. 12. Know your rights in Estonia! Discrimination. The status of cultural minorities and their opportunities in Estonia. Education and media in Estonia in minority languages. Human rights and freedoms, responsibilities, rights of foreigners and non-discrimination. 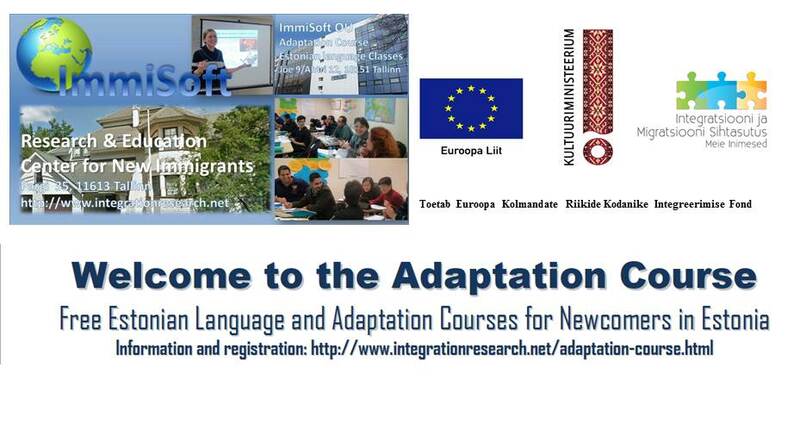 Subscribe to our adaptation course! Click here to find out more!